As you can imagine, jarrariums are any kind of aquarium or terrariurm size of a jar. 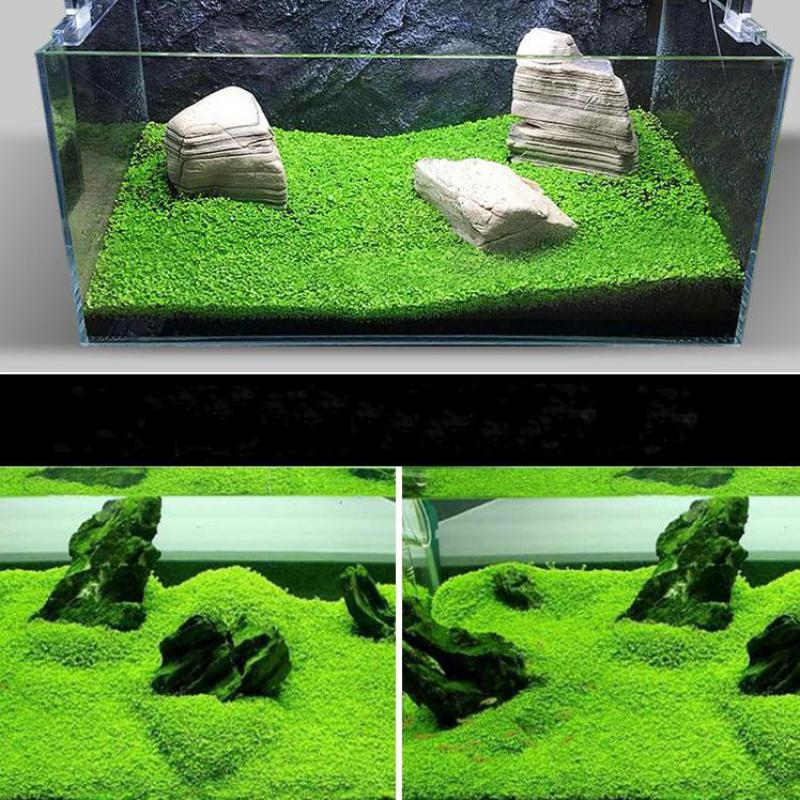 There are many pros to having a jarrarium, comparing to full-blown fish tank: they doesn’t take much place, you can easily build several different ecosystems, it doesn’t take much time to set it up and they’re inexpensive – the latter being especially true if buying from Aliexpress. 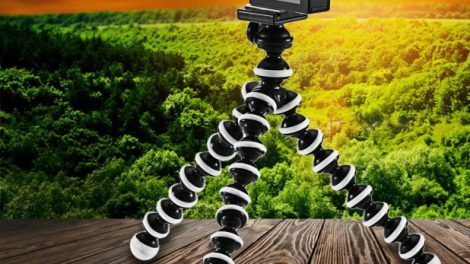 Having a jarrarium and watching as life grows inside is a wonderful hobby that inspires to know more about life and biology, and luckily, Aliexpress has tons of stuff to help you kickstart it for great price. Here are some of the most popular jarrarium equipment you’ll find there with free shipping worldwide. Bowl with rack for $8 witf free shipping. This popular bowl (almost 1000 sold!) . 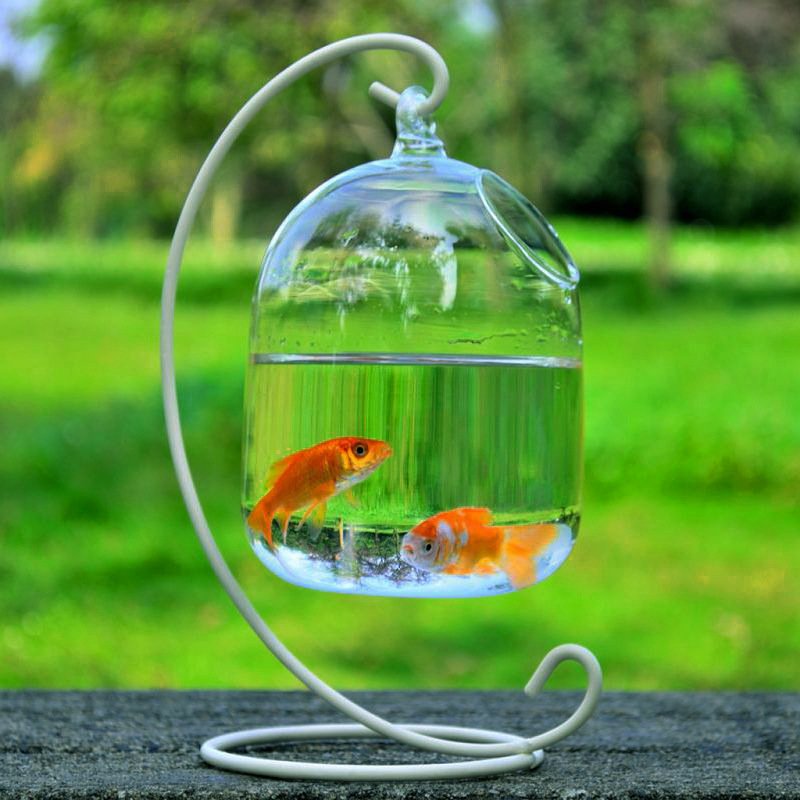 It might be possibly too small for a goldfish that needs bigger tank, but it’s easily accessible for non-water based jarrariums with large hole above, and looks great with its metal hinge. Great starting point for any jarrariums enthusiast and it’s really inexpensive. 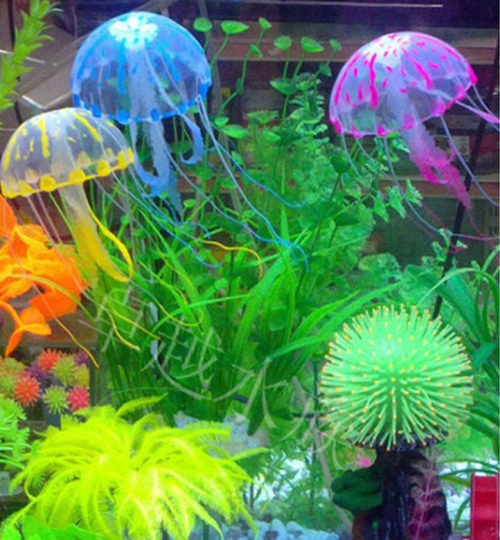 Artificial glowing jellyfish for $0.75. 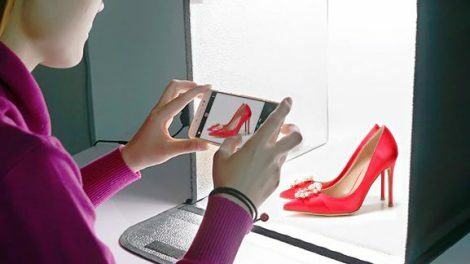 This small prop is made from fluorescent materials and glows nicely with reflected light (no batteries needed). Free shipping worldwide, even if you order just a single piece. 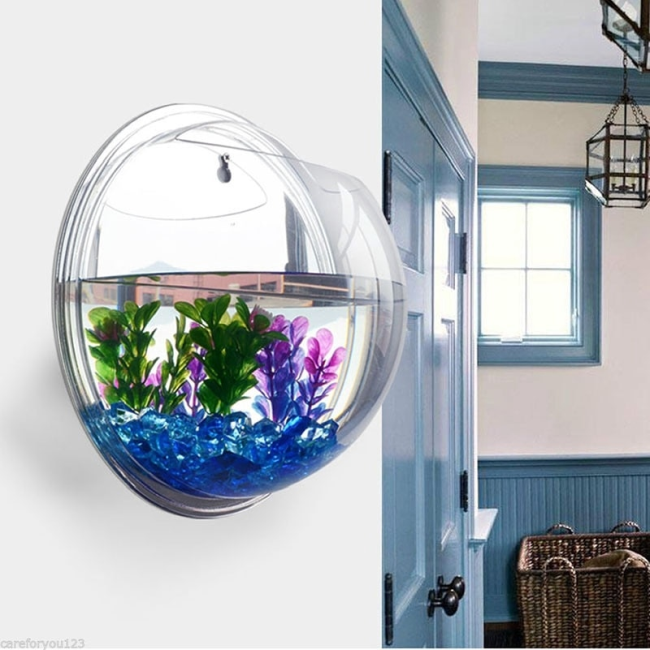 Tank that can be hung on the wall for just $3.40. 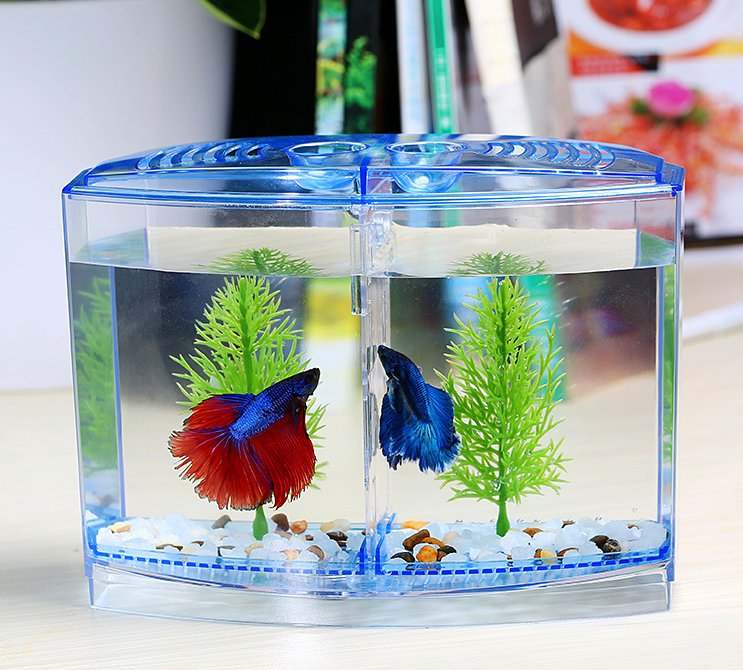 Made from quality acrylic glass, this tank is transparent and just about right 15 cm diameter/0.55 l capacity. It’s actually a bit smaller than on the picture, thus making it a great container for jarrarium or nano aquarium. Mini-aquarium for bettas for $8.90 – that pretty much will work great for any small tank project. Sized 12*8*10.5cm, with lights powered from USB. Very popular and has great reviews from the buyers. 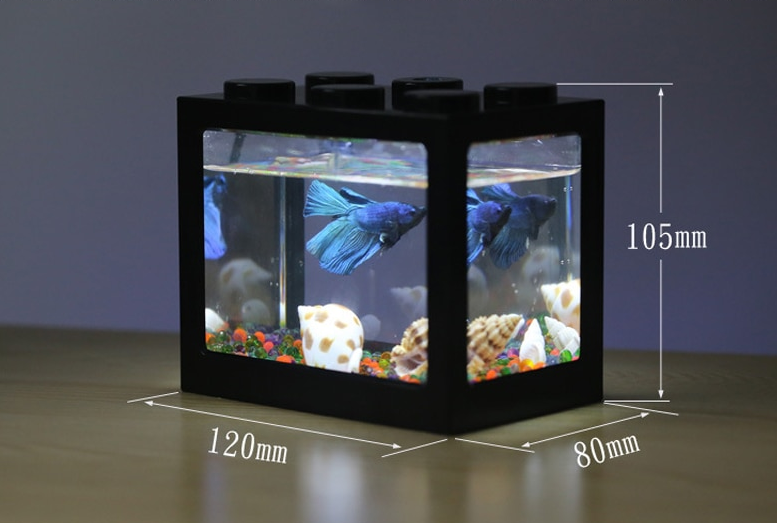 USB mini aquarium with lamp that works as a… pen container. This ingenious device is powered by USB (so by standard phone charger of from your PC). Only $28,52 with free worldwide shipping. 6 white LEDs will brighten up your ecosphere and it can even play sounds of birds, flowing water, frogs, controlled by a buttons. 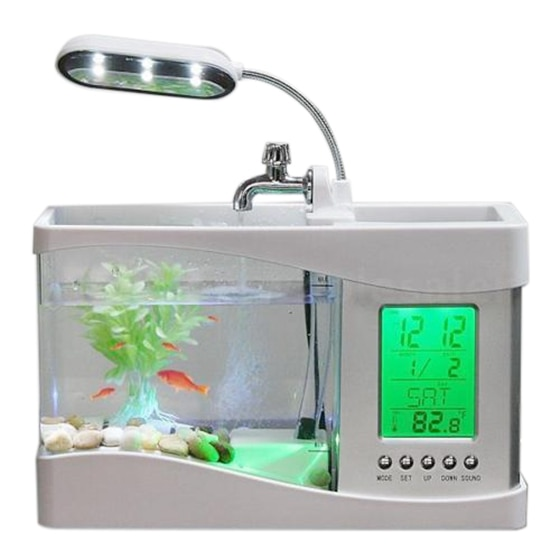 As you can see, it even acts as a calendar or alarm clocks, so this is aquarium that not only looks awesome, but you can put it on your office desk. Even pack of pebbles are included in the box, so you get everything you need to start! Another mini fish tank for your nano projects. Used also for breeding bettas. Only $5 with free worldwide shipping and sized 20*15*9cm. It’s also worth mentioning, that there are tons of artificial plants on Aliexpress. Artificial plants have this advantage over normal plants that they always look good and don’t require maintenance, so you can just put it in your jar to improve looks. There are also interesting ornaments, plants and lights, so definitely see more accesories and discover deals. Do you have any other favorite aquarium from Aliexpress or you’d like to share your best creations? Let us know in comments below!